Design Letters - Beautiful Design for your Children - Shop Now Online! Design Letters is a young design company from Denmark which became popular for its elegant and pure designs with letters in the classic style of Arne Jacobsen’s typography. 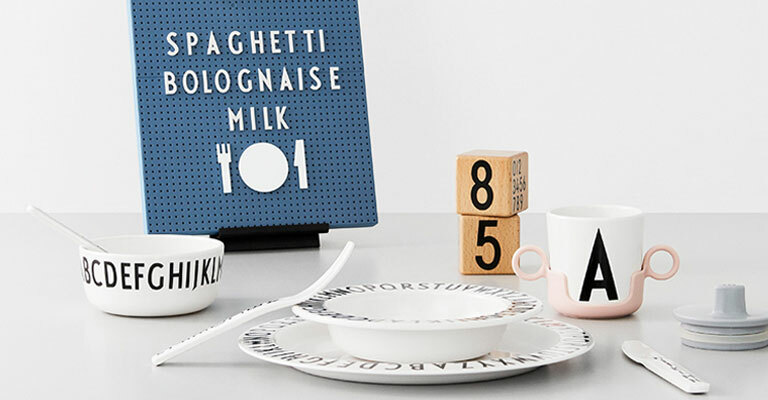 Bring your own style into the dining room or children’s room with cups, plates or toys from Design Letters. Every piece of tableware is made of practical melamine and is dishwasher safe.